After a period of relative silence, terrorist operations sponsored by Tehran have resumed in the West. .As 2018 was coming to end, the Albanian government made a bold move by expelling the Iranian ambassador and another diplomat (reportedly the Iranian intelligence station chief) from that country for threatening the country’s security. . The previous downturn on Iranian state-sponsored terrorism in the West was not the result of a change in the nature of the Iranian regime. It was the outcome of a relatively firm reaction to convictions in German criminal court over the assassination of Iranian Kurdish leaders in Berlin in 1997. European countries summoned their ambassadors and warned Tehran against repeating terrorist attacks on European soil. But since then, Tehran has continued carrying out terrorist operations against Iranian dissidents outside Europe, especially in Iraq, where dozens of operations targeted members of the People’s Mojahedin Organization of Iran (PMOI/MEK) before the fall of the former Iraqi regime. In recent years, Iranian operatives have also struck against Kurds in Iraqi Kurdistan, and in 2011 they planned to assassinate the former Saudi ambassador to the United States and current Foreign Minister Adel al-Jubeir. And through proxies in areas of open combat, the regime has killed thousands in recent years in Iraq, Syria, Yemen and various countries.. In March, the regime plotted to bomb the gathering of MEK members residing in the Albanian capital Tirana as they celebrated Nowrouz, the new Iranian New Year. According to some reports the expulsions in December were because of the complicity of the Iranian “diplomats” in that plot. After this plan was foiled, the regime began plotting to bomb the annual gathering of the Iranian resistance, led by Maryam Rajavi in Paris on June 30. But this plan also was foiled by European authorities, and four individuals were arrested. The German judiciary announced that the mastermind of that plan was a o diplomat accredited in Austria - Asdallah Asadi – who was arrested in Germany and then extradited to Belgium. The other three were dual Iranian-Belgian nationals who had lived in the West for many years. The four are still in prison and under investigation. 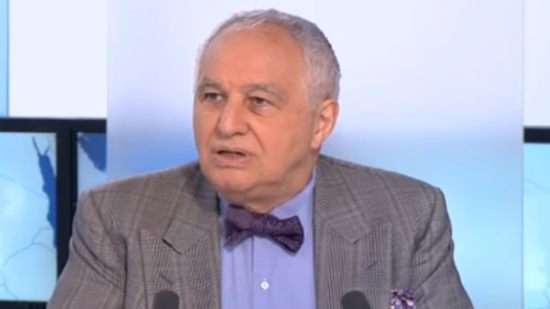 Another Iranian diplomat was expelled from the Iranian embassy in France. All told, at least seven Western countries have been the scene of Iranian state terrorism plots in this year alone: the US, France, Germany, the Netherlands, Denmark, Belgium, Luxembourg and Norway. This is partly attributable to the deteriorating economic situation inside Iran and the resulting anger of the people in various Iranian cities, manifested in anti-regime protests aimed at the heart of the regime. A close look at the latest terrorist plans and operations reveals that the Ministry of Intelligence is behind them all, with embassies being at the center of planning. Meanwhile, the government in Tehran functions only as a tool in the hands of the supreme leader, and whoever is in charge of the government is nothing more than an employee of this system. When President Macron hinted that Rouhani, the president of the regime, would not have been behind the planning of the terrorist attack in France, the regime’s foreign ministry spokesman replied: "I reject Macron's statements and I think this is a misunderstanding. In Iran there is one policy and one action in foreign policy. Whoever tries to separate the government from the system does so out of ignorance of the internal structure of government in Iran."